Flying-foxes are among the most mobile mammals on earth by most measures, and their extreme mobility makes them key long-distance pollen and seed dispersers in Australia’s fragmented forest ecosystems. One of the least well understood aspects of flying-fox ecology is their ability to orient in space and time. Flying animals are under strong selection pressure for ‘true navigation’ ability; the ability to navigate to a goal from a distant unfamiliar site, without access to cues emanating from the goal – because aerial animals are subject to sudden, unpredictable, long-distance displacements. We expect that flying-foxes navigate using a map and compass system. Recent research has identified a compass system in microbats, but no compass system has as yet been identified in flying-foxes, and the basis of any navigational map also remains unknown. 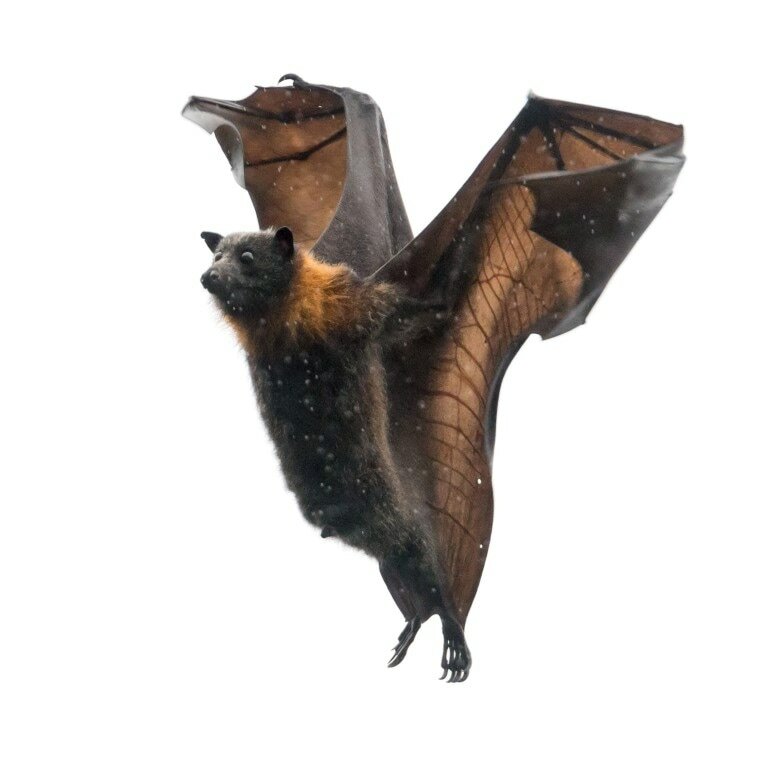 This project aims to investigate the sensory modalities that Australian flying-foxes use to navigate. The shortlisted applicant must be eligible for an Australian Postgraduate Award (APA), a Western Sydney University Postgraduate Research Award or an International Postgraduate Research Scholarships (IPRS) (for details see here). ​The successful applicant will have access to $3-7k annual research support from the Hawkesbury Institute for the Environment and the Lab of Animal Ecology will provide the necessary equipment and field support. Research Locations: Adelaide South Australia, Greater Sydney Region New South Wales, Australia. To express your interest in this PhD opportunity please email Dr Justin Welbergen with a copy of your CV and a short paragraph outlining your skills, experience, and research interests. Tsoar, A., Nathan, R., Bartan, Y., Vyssotski, A., Dell'Omo, G., & Ulanovsky, N. (2011). Large-scale navigational map in a mammal. Proceedings of the National Academy of Sciences, 108(37), E718-E724. Holland, R. A., Borissov, I., & Siemers, B. M. (2010). A nocturnal mammal, the greater mouse-eared bat, calibrates a magnetic compass by the sun. Proceedings of the National Academy of Sciences, 107(15), 6941-6945. Welbergen, J. A., Klose, S. M., Markus, N., & Eby, P. (2008). Climate change and the effects of temperature extremes on Australian flying-foxes. Proceedings of the Royal Society of London B: Biological Sciences, 275(1633), 419-425. Biro, D., Freeman, R., Meade, J., Roberts, S., & Guilford, T. (2007). Pigeons combine compass and landmark guidance in familiar route navigation. Proceedings of the National Academy of Sciences, 104(18), 7471-7476. Welbergen, J. A. (2006). Timing of the evening emergence from day roosts of the grey-headed flying fox, Pteropuspoliocephalus: the effects of predation risk, foraging needs, and social context. Behavioral Ecology and Sociobiology, 60(3), 311. Holland, R. A., Thorup, K., Vonhof, M. J., Cochran, W. W., & Wikelski, M. (2006). Navigation: Bat orientation using Earth's magnetic field. Nature, 444(7120), 702-702. Meade, J., Biro, D., & Guilford, T. (2005). Homing pigeons develop local route stereotypy. Proceedings of the Royal Society of London B: Biological Sciences, 272(1558), 17-23.